Just a few months ago, while the nation was still riding high on the renewed optimism the English football team had given us, I came across a developer who was, to say the very least, down in the dumps. Let’s call him Alan. At first glance, Alan had nothing to be miserable about. He’d just completed a development of high end apartments and was taking them to market. With property prices continuing to accelerate like Lewis Hamilton from the pits, surely he should have had a smile on his face that stretched from ear to ear. Well he didn’t. The properties weren’t selling; he’d made a critical error and not purchased Latent Defects insurance (LDI). His prospective purchasers were unable to secure a mortgage on the properties, leaving them unsellable. It led me to think that perhaps not everyone is aware of LDI and why it is such a fundamentally important part of the property process. So, I thought I’d better share a brief overview of what it is. LDI is a type of insurance that provides cover for the cost of remedying and rectifying damage arising from faults in design, construction, installation, workmanship, materials and overall supervision. It also normally covers structural defects such as subsidence landslip or heave, or the ingress (that’s getting in to you and I) of water. Sounds important right? But here’s the real kicker. The Council of Mortgage Lenders now insists on a 10-year LDI policy before lending any money on newly built residential properties. So, if you don’t have one, you are left up a certain creak, without a paddle. As you would expect, LDI is suitable for developers, property owners, contractors and private finance initiatives and can also be purchased for completed renovation projects. It’s first party cover, which means there’s no reliance on suing any professional before receiving a pay-out. The insurance company pays and then settles with the relevant professional further down the line. LDI should be sourced prior to construction starting, and the policy should run between 10 and 12 years from the date of practical completion. And finally, as I would also hope you’d expect, it’s something that we are specialists in at Kerry London. 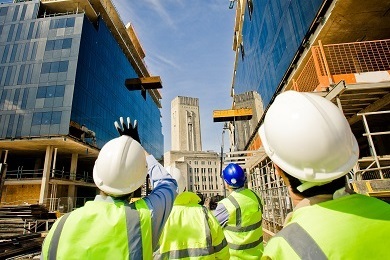 We’ve over 30 years’ experience in the construction sector and our reputation and accreditation as a Lloyd’s broker provides us with access to major and niche insurers. If you’d like to find out more, please do get in touch. Don’t be like Alan.